Patrick was an excellent and very friendly driving instructor! I feel like I was quite a difficult student, due to my fear of big roundabouts and stressed nature during the test, but Patrick never gave up on me. I now feel like a very confident driver, and even started driving around busy London not too long after passing my test. I recommended my brother in law to learn with Patrick and would recommend again to others! Being of advanced age I was quite nervous at the prospect of learning to drive and passing a test. Having met with Patrick and going through my first lesson I instantly felt more confident and positive about the whole adventure. I found Patrick a patient and understanding instructor and thanks to his skills I now drive with complete confidence. Patient, kind and genuinely honest. Patrick is one of the best teachers I have ever had the pleasure of being taught by. His kind but firm style creates a reassuring environment in which one can progress quickly and fluidly throughout their lessons. With Patrick I passed first time, and have never looked back. Excellent! Hi had just turned 17 and started having lessons and one thing I knew for sure was that I was in the best hands with Patrick, his easy going but pushing nature over time turned me into a safe confident driver and always pushed me to never giving up. He also explains things at your level and makes it easier to understand and is hugely reassuring. I am now an independent confident driver and still take Patricks and still take Patricks advice while I am on the road and couldn't thank him enough for his support throughout this tough but life changing experience! I had previous driving experience and only had big problem while driving in roundabouts. I asked Patrick to help me with that and he was really helpful and took me around all the roundabouts to boost my confidence. After several lessons on roundabouts I finally passed the driving test first time. 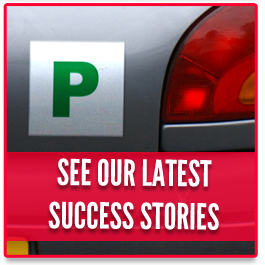 Patrick is a friendly and very approachable person who tailors the driving lessons according to students needs. I had just turned 17 and decided that I wanted to learn how to drive. I had a few nerves at first, but these were soon put aside by the confidence I felt being taught by a high quality instructor. Patrick is not only a friendly and reassuring presence with you in the car, but he is also punctual, patient and above all a great communicator. He explains things on your level, while still managing to maintain the details of how best to perform a manoeuvre, how to be aware of potential hazards and general road etiquette. Thanks to Patrick I have been a safe and confident driver for almost 2 years now and have enjoyed every moment of the new freedom he has provided me since passing my test. I had taken driving lessons with a couple of other instructors before Patrick, but still felt apprehensive. Patrick’s relaxed approach put me at ease straight away and after some struggles and some laughs, I passed first time. I was given Patrick’s number by a friend, who passed first time. He said that Patrick was very easy to get along with. From day one I really enjoyed having Patrick as my driving instructor and this is fundamental when learning how to drive. He is an excellent instructor with many years experience, flexibility when planning classes around my other commitments and takes time before each lesson to plan what was going to happen. Patrick didn’t waste any time either; it only took me half the lessons that all my friends were having and I passed first time with flying colours. I would recommend Patrick to anyone taking up driving lessons. Once again thanks Patrick. I started learning to drive last September and like most people I felt nervous at such a daunting task. However from my first lesson Patrick made me feel at ease. I learnt at my own pace and although Patrick encouraged me and urged me forward I never felt rushed into things I was not ready for. Throughout my time learning I always felt comfortable asking questions and asking for things to be demonstrated or explained. After learning the basics Patrick allowed me to decide what we did on each lesson. This made me feel more in control of what I was learning and allowed me to dictate the pace. This meant I was able to concentrate on the areas I found especially difficult i.e. hill starts and roundabouts. We would work on these areas until I became completely comfortable with even the most difficult situations. I passed my practical exam in June and have not looked back since. After speaking to friends and family who have had negative experiences with their driving instructors I feel extremely privileged to have been taught by Patrick. He is kind, considerate and is able to give constructive criticism without sounding condescending. He made learning to drive an enjoyable as well as rewarding experience. When I first started lessons with Patrick I told him being in the Army I only had just short of 6 months to pass my driving test. It only took me around 3 months due to Patrick being a patient and friendly instructor who will go out of his way for his pupils. Patrick is an exceptional instructor. I only had a small window of opportunity to pass my test as I was leaving the area. I passed in time which came down to Patrick’s help and understanding. I learnt how to drive at my own pace and Patrick made sure I understood by explaining things in a way I would understand. Cheers Pat! I got Patrick’s details from a friend who passed first time. As a ‘grown up’ learning to drive in my early thirties, I am used to being in control at home and in the office. What I really appreciated about Patrick’s laid-back teaching style was his ability to allow me to think I was working it out as a I went along, whilst all the time subtly passing on the techniques I needed to pass my test. I finally decided to start learning to drive last year at the age of 36. 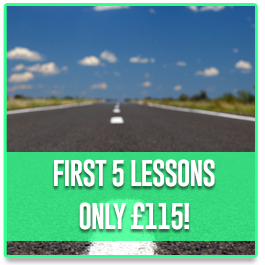 I was of course very nervous to start driving lessons at such a late stage and was instantly put at ease by Patrick, who is a very easy going and experienced driving instructor. He gave me a great deal of confidence and made me feel relaxed and in control with his friendly nature and patience. He took the time to explain anything that I was unsure about and was always on time for every lesson. I highly recommend Patrick to anyone who is thinking about learning to drive. He is a superb instructor and thanks to him I am now a confident and able driver. Thanks again Patrick. I was learning to drive when I was 18 and really could not get on with my instructors. Eventually I gave up and focused on riding bikes. At 23 I decided it was about time to start again. I was given Patrick’s number by another driving school and from the word go Patrick was an A* instructor. He was very patient, down to earth and all together a genuine bloke. He helped me take the massive leap from 2 wheels to 4 in just 16 lessons and I passed first time. I would recommend Patrick to anyone looking to start driving. He is a great guy and I consider him as a friend, not just a instructor. Cheers Pat your a star. I was an extremely late learner at 55 years old, but Patrick always made me feel that it is never too late to learn to drive. I got to know Patrick well over the time leading up to my test, and I always felt calm and confident whilst having lessons. Patrick has lots of patience, and would praise me when I had a good lesson, but would also point out mistakes when I did not do so well. In February this year, I passed my test, and as I had already picked up a car (which Patrick had taken a liking to) I could immediately start driving to work, taking my wife to and from the station, and be able to shop at Asda without getting a taxi. Small things to some, but for my wife and I, it has given us a new found freedom. 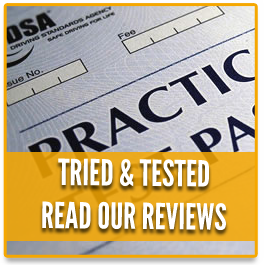 I would not hesitate in recommending Patrick for driving lessons; he is an extremely good instructor. I felt sure I would have to take my test a couple of times being an older and quite nervous, driver, who had lessons twenty odd years ago. Patrick’s calm approach made sure I was relaxed and confident and I passed straight away. Lots of things that I thought I’d never really master, like reversing around corners were a doddle when it came to test day – having a laugh with Patrick about making all my mistakes on the way to the test centre helped. Thanks Patrick – it was especially good timing as my wife gave birth to my baby daughter just one month afterwards! Thanks again Patrick. Assistant DirectorI started my driving lessons off feeling nervous, the nerves soon left me as Patrick is very easy to get on with. He makes you feel at ease while driving. From day one I enjoyed my experience learning to drive with Patrick. I always felt comfortable asking questions and going over parts of driving I wasn’t to good on, which Patrick would talk me through. I would recommend Patrick to anyone who is thinking of taking driving lessons. Thanks Again Patrick! I always thought I would be so bad at driving that I would never get the hang of it, but with Patrick; a guy you can rely on, he showed me that there’s no better way to start than in the driving seat. Patrick is a great instructor to have and likes to have a good chat. You can never be afraid to ask him any questions about anything that you’re unsure of. If you think you’re a bad driver you should hear Patrick’s stories of other students mistakes to make you feel better. During the last snow spell that we all had, I often thought to call Patrick and cancel the lesson. It shows how much confidence he has in you when he does not call you. After all, it’s about getting experience. Thanks Pat! I already knew the basics before starting lessons with Patrick but wasn’t always very confident and not great at manoeuvres. He made me feel at ease when driving and if I had any difficulties he went through them until I got it, or found a number of different ways that suited me better. I had a great time being taught to drive by Patrick, he made me laugh, is very patient and has great ways of teaching the essential techniques and procedures. He is very reliable, always on time and constantly goes out of his way. Thanks Patrick! Got there in the end! I have had a couple of driving instructors before who were short of patience. Patrick is completely different with his laid back style of teaching and the fact that he is very easy to get on with. I felt relaxed immediately and enjoyed every lesson. He managed to challenge me without being pushy. I passed first time and with only one minor fault. Thanks Patrick. If anyone is looking for a driving instructor I recommend Patrick. 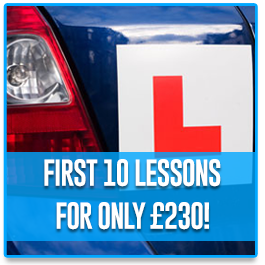 He won’t only help you to pass your driving test but also make you enjoy learning how to drive. He has a full knowledge and many years experience of driving together with patience, friendliness and understanding. I passed my test with Patrick a couple of months ago. I am sure this would have happened sooner if I had started my lessons with him from the beginning. He was very patient, always made me feel confident which is most important and made it enjoyable to learn whilst being professional. I would recommend him to anyone. Patrick was a great teacher and really friendly. I passed my test first time and found out about Drive 4 Life Academy from two different people who also passed first time. Patrick is really easy to talk to and can keep you calm even when things can get frustrating. I would recommend Patrick to anyone I know. I passed in March 2010 and still haven’t had any trouble whilst driving (touch wood)!! Patrick, thank you so much for all the help and support! I made an excellent choice; If I had to do it all again I would still pick you as my instructor.